Frequently cited among hip hop’s best mixtapes, and praised by DJ royalty including Jazzy Jeff, “The [Abstract] Best” has become one of the signature pieces in J.PERIOD’s acclaimed Icon Series. This groundbreaking tribute to The Abstract Poetic, Q-Tip – legendary frontman for A Tribe Called Quest – explores Tip’s music, inspirations and insights by weaving Tribe and Tip classics, J.PERIOD remixes, behind-the-scenes interviews, and exclusive new tributes performed by an all-star roster of legendary guests MCs including: De La Soul, Talib Kweli & Questlove, Kid Cudi, Blu and more, all paying tribute to the music and legacy of Q-Tip and A Tribe Called Quest. 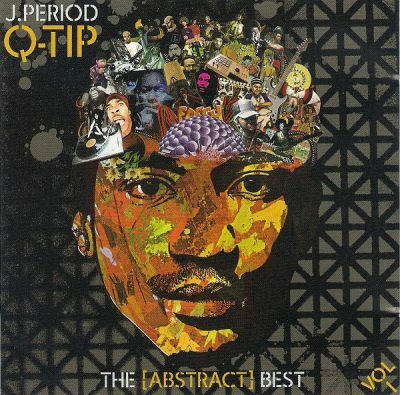 comment "J.Period & Q-Tip – The [Abstract] Best Vol. 1 (CD) (2009) (FLAC + 320 kbps)"